Spring brings sunshine, warm weather, flowers, and most importantly, new riding gear. REV’IT! 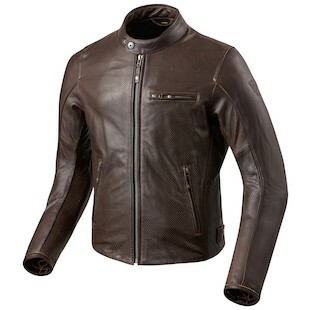 has continuously provided a range of attire spanning from the canyon carving enthusiast to the classy commuter. For 2016 REV’IT! has gone into full attack mode against high temperatures with the REV’IT! Flatbush Vintage Air Jacket and the REV’IT! Akira Air Vintage Jacket. Air. An essential for breathing as well as keeping you cool when the weather gets hot. You can find the “Air” moniker attached to riding apparel that keeps you cool when you’re on the move. Using air to their advantage REV’IT! has introduced an update to the Flatbush Vintage Jacket appropriately named the REV'IT! Flatbush Air Vintage Jacket. With the introduction of the Flatbush Air in brown, they have also opted to include a true black option for the rider who has a heart as dark as night, or just prefers black. 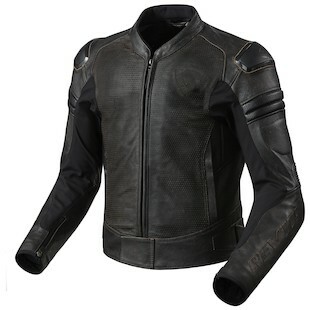 The jacket features a fully perfed body and inner arm to achieve maximum ventilation at the hottest temperatures while still maintaining a classic appearance. The Flatbush features CE2 rated armor at the shoulders and elbows and has an available pocket for the CE2 rated Seesoft back protector, so there is no need to worry about protection while you ride to the restaurant or to go see a movie. For the aggressive rider who wants all of the protection of the top half of a race suit without the flashy logos REV’IT! has what you need in the form of the REV'IT! Akira Air Vintage Jacket. The jacket features a full cowhide construction with accordion stretch and aluminum sliders at the elbows and shoulders, to match the CE2 SeeFlex armor at the same locations. The Akira has all of the protection you need with none of the flash. Keeping in line with the “air” styling, the chassis is fully perforated throughout the body to keep you cool, but also features a thermal liner to accommodate your body when the temperature starts to dip. The aggressive race fit is perfect the sportbike rider looking to keep a low profile but stay protected. The Akira Air Vintage comes in a black and brown vintage styling, while the Non-vintage colorways include black and a black and white. REV’IT! continues to provide fashionable styles without the loud logos and doesn’t skimp when it comes to protection. Both the Flatbush Air Vintage and the Akira Air Vintage are great options to combat the hot summer weather while still looking as cool as you feel.